Our company has a long tradition in compass adjustment. Our founder started his career as a compass adjuster. 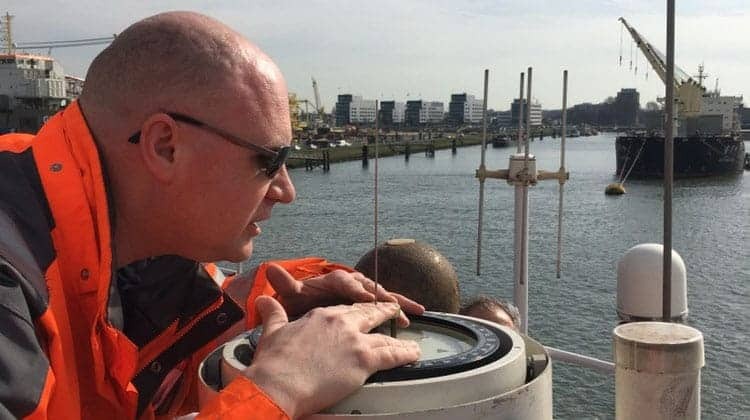 That’s why, after 25 years of experience, this special craft of compass adjustment still holds a secure place within the services portfolio of TOS. We know how important it is to have an accurate compass. Not only because of the legislation and safety rules, but also from the point of view of reliability. We work with the most experienced, sworn compass adjusters. Our professionals are on standby 24/7, 365 days a year with their mechanical, navigational skills, and the background and knowledge required to service and repair all existing compasses. Getting the job done. That’s the only thing that counts. No matter what! Please call: +31 6 5539 00 98 Our compass adjuster is awaiting your call 24/7. Or fill in the form directly. We like to make it personal. To understand you, your company and your ships. Together we can take care of all compass adjustments and repairs, when necessary. We can take care of the whole fleet or just one ship. For the long-term or just once at short notice. Adjustment or repair. Traditional or modern instruments. 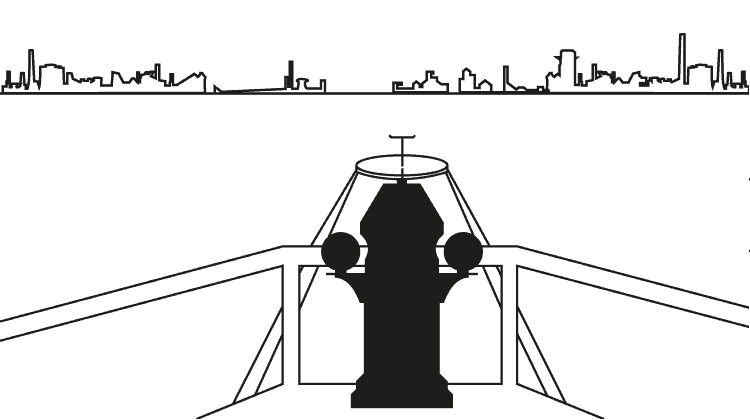 We offer the full service, for all kinds of vessels and all kinds of waters. 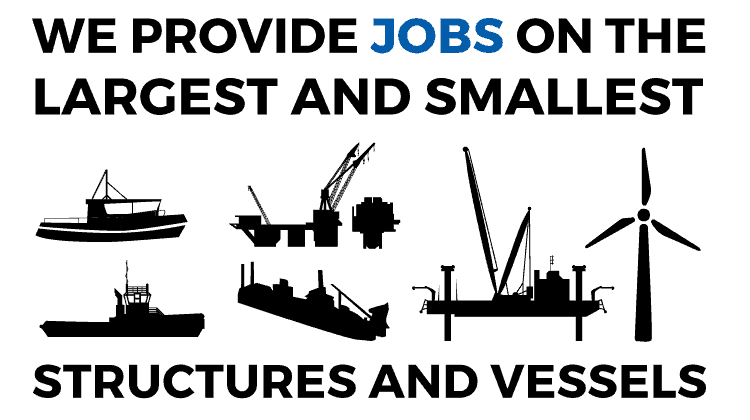 We are a true specialist and perform our service throughout all ports and harbours around the world. 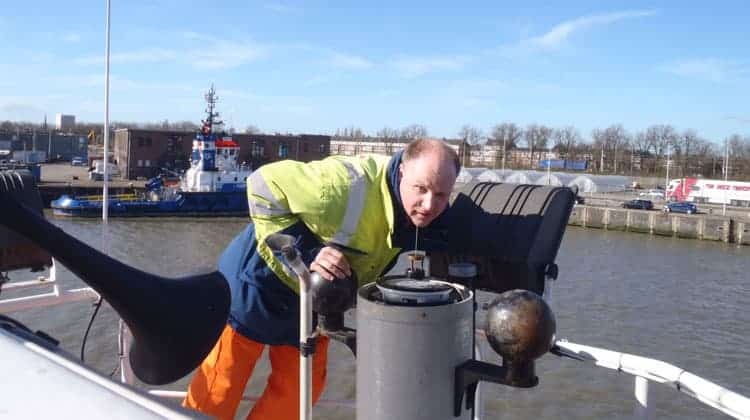 ‘The trip started on a hazy morning in the port of Maassluis, where I, together with some other technicians and surveyors, boarded the SIMA tender. After a trip of approx. 45 minutes we arrived at the vessel, which was at anchor outside the port of Rotterdam. After everybody got on board and signed in (ISPS-procedure), the vessel started to heave up her anchor. After finishing, I had to wait for the other technicians and surveyors to complete their jobs. Meanwhile, the tender was on standby the whole time. Slowly the sun appeared, and the haze cleared, only to be followed by rain. 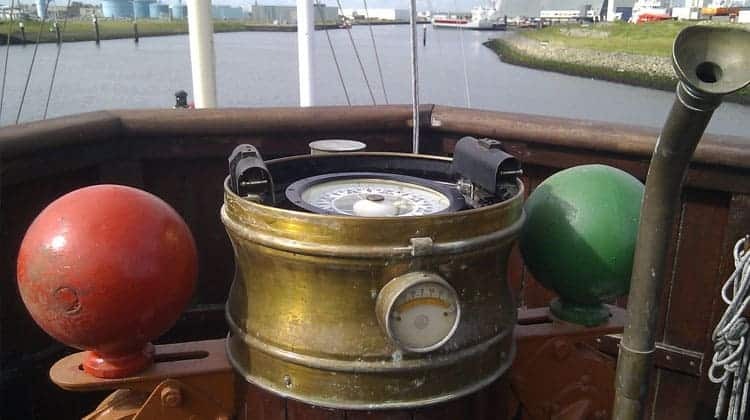 I would like to thank the crew for their excellent coffee-making skills, which made waiting on board bearable.’ explains Jeroen Tromp, Compass Adjuster at TOS.